You may not have heard of AX Paris, but you’ve definitely seen their collection. Available online as well as at New look, the celebrity favourite label counts the likes of Lauren Pope, Maria Fowler, The Saturdays and Kelly Brook as fans, they’re are always seen out and about with their latest must-have piece. Although AX Paris are most well known for their gorgeous party dresses, they also have a really great collection which offers everything from snuggly knits, cute playsuits and cosy coats. When they recently asked me to pick a piece to review, I went for something casual and picked this abstract zebra print knitted dress. I adore animal print but leopard print and snakeskin are a little too obvious this season so the zebra print really appealed to me. I was really pleased when I received the jumper, I was really pleased by how soft and snuggly it was. I love the high street, but sometimes the quality of fabrics can be really touch and go, there’s nothing I hate more than seeing a really gorgeous piece only to find out the wool or cotton is scratchy. Although it was long enough to wear as a dress, I prefered to wear it slouchy and pulled it up a little. 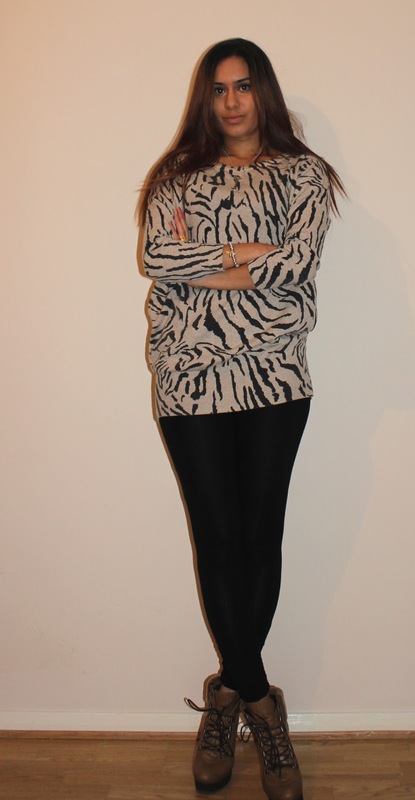 I adore this jumper and have worn it to death, it’s so versatile and comfy. 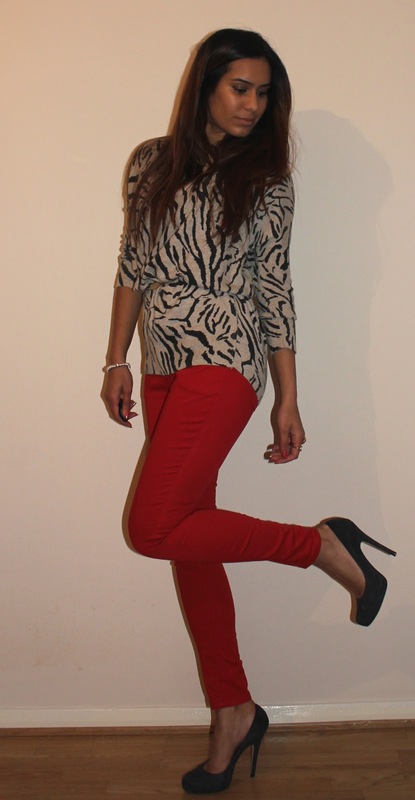 I wore it casually with leggings and hiker boots and also dressed it up with my favourite red jeans and stilettos. Which look do you prefer? Hey gorgeous!! I'm loving the dress, especially worn as a slouchy top. 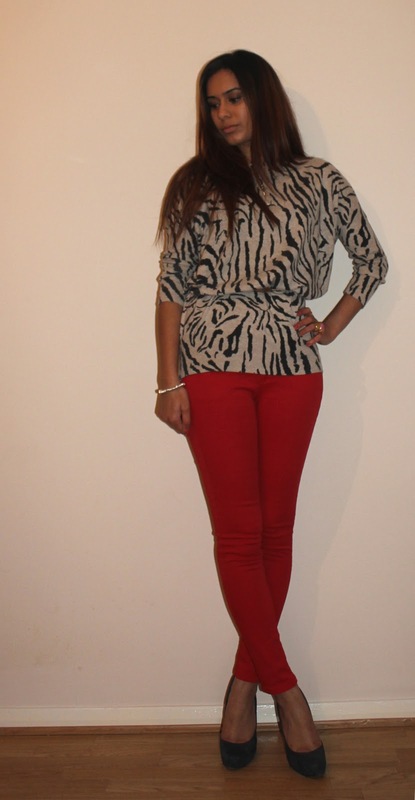 Love how you paired it with the red jeans. 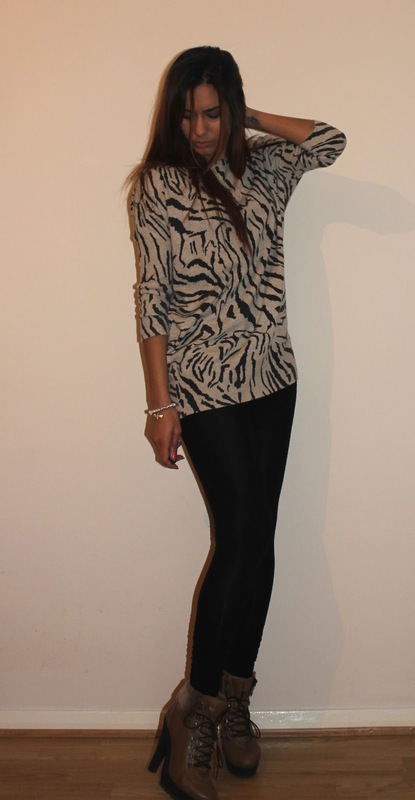 Love animal prints! Looks good styled both ways. 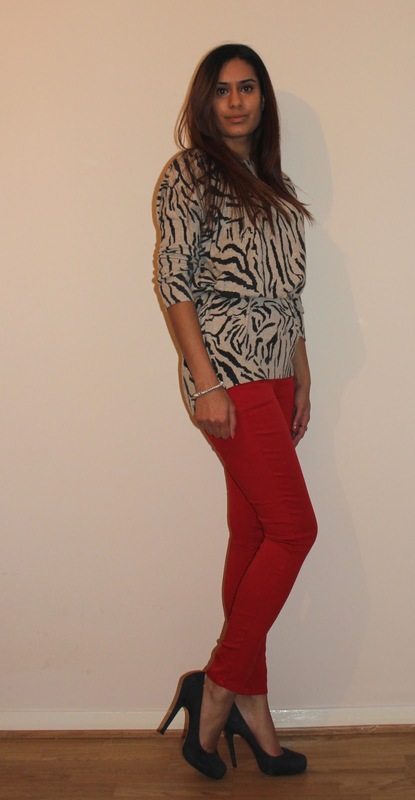 The red jeans really jazz it up!